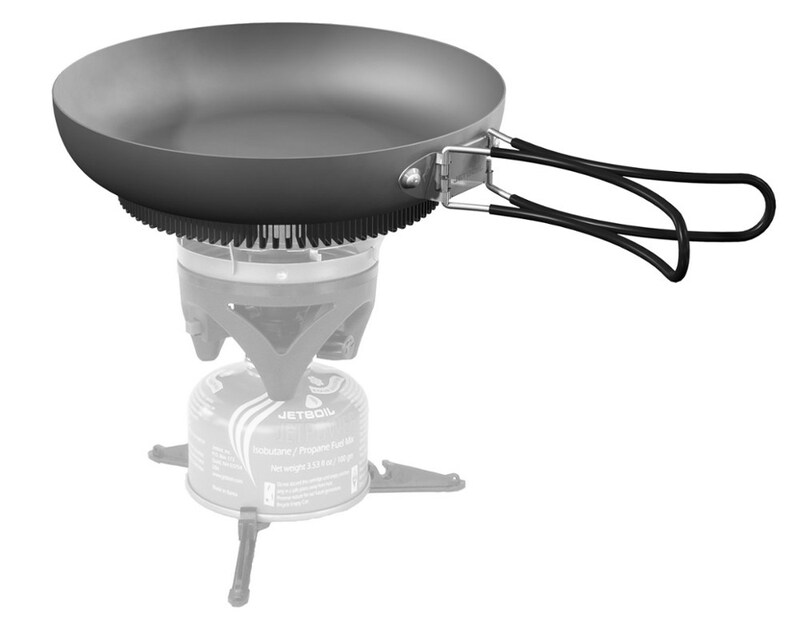 The Jetboil FluxRing Fry Pan is part of the line of cooking accessories for the Jetboil Cooking Systems, or the Personal Cooking System. 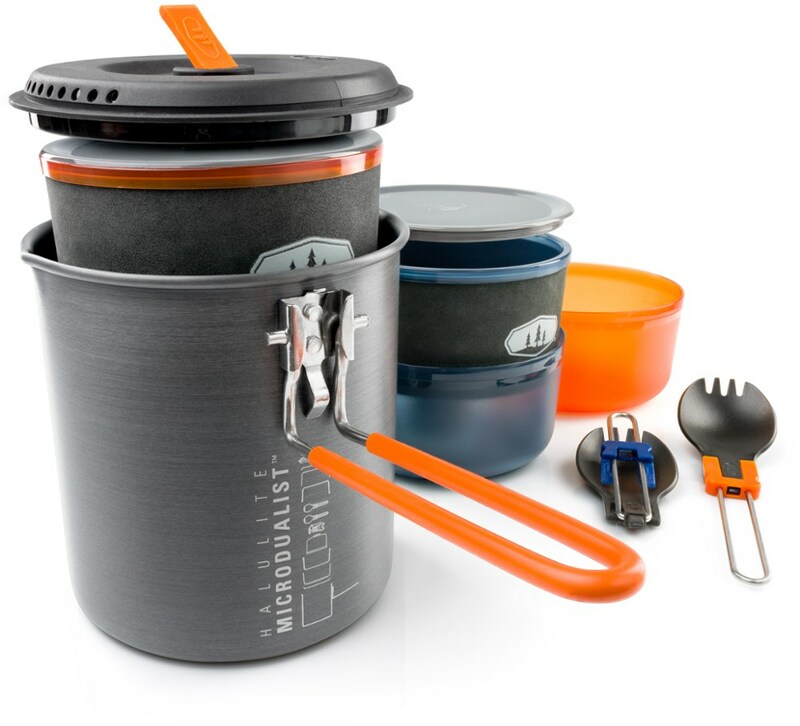 It allows Jetboil users to add a new dimension to their backcountry cooking experience. 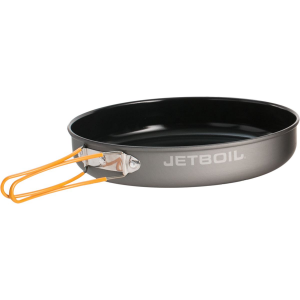 The Jetboil FluxRing fry pan is part of the line of cooking accessories for the Jetboil Cooking Systems, or the Personal Cooking System (which additionally requires the Jetboil Pot Support). For the purposes of this review, all testing was done using the Jetboil MicroMo cooking system, with the required pot support. Initial impressions of the fry pan are that, like other Jetboil products, it is well designed, well built, and of reasonably good quality. The pan features the Jetboil FluxRing heat exchanger, which Jetboil claims aids in distributing heat more evenly and increasing overall efficiency (more on that later). The material is aluminum, and as far as I can tell is the same as that used on other Jetboil pots. 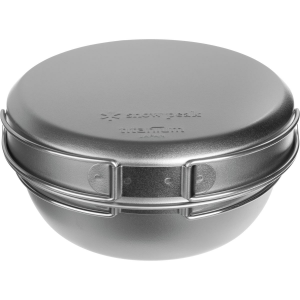 There are two foldaway handles which are very sturdy and allow you to grip the pan confidently while cooking. Additionally, it comes with a protective cover, which has a dual purpose as a preparation/eating bowl. 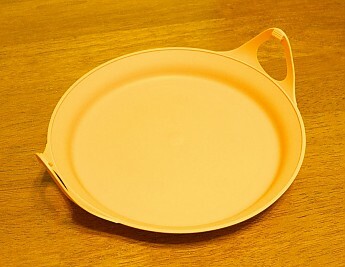 The fry pan is substantially sized at 8.1" by 2.2" (205 mm by 57 mm), and is certainly not lightweight at a combined 292 g (10.3 oz), which is distributed as follows: pan = 242 g (8.5 oz), cover/bowl = 50 g (1.8 oz). This is above the Jetboil claimed weight of 280 g (10 oz). This however isn't that critical, as this item is, in my opinion, already too heavy to be seriously considered by the weight conscious ultralight hiker. I recently tested the Jetboil MicroMo cooking system, which proved quite competent at simmering; allowing a compact lightweight cooking system to be used for more complex backcountry cooking. This got me intrigued by the potential of the FluxRing frypan. Jetboil advertises it for simmering, searing, sauteing, and stir frying. I tested initially at home, and then replicated in the backcountry (around Lake Michigan) several dishes which I like to make while camping (non ultralight). 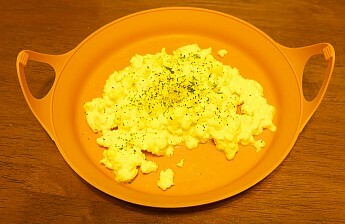 First was simple scrambled eggs. This requires constant stirring, and this is made easy by the curved walls, and general shape of the pan. This is in fact one of the features that Jetboil likes to promote. However, it was obvious, that even with adequate oil, the center of the fry pan was substantially hotter than the sides, and it took a lot of effort to prevent the eggs from sticking. The eggs turned out consistently great, and in general the pan was easy to clean after each cooking session (as long as sufficient oil was used). Fat rich foods were less problematic as they naturally provided a lot of oil by cooking. 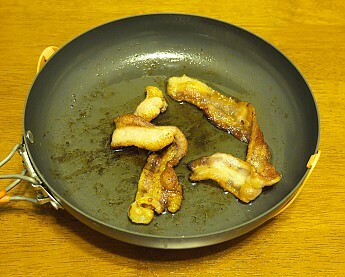 Bacon is easy to cook in this pan, and its generous size (for a camping fry pan) makes it easy to cook large portions. Pictured below are just two strips of thick cut bacon, but one could easily accommodate up to six at a time. The real test however, was pancakes (buttermilk pancakes to be exact). There is no stirring with pancakes, so even heat distribution is critical, and any hot spots are easy to spot by the resulting coloration. 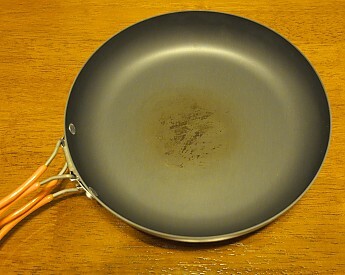 Unlike with eggs, even a well oiled pan can dry up as the pancake sponges it away. To my disappointment, this test highlighted a significant flaw in the pan's design. Even with low heat, the center of the pan gets disproportionately hot in the middle, leaving the sides significantly cooler. This means a burnt center, and barely cooked edges. Every pancake, regardless of the size told the same story. Still edible, but not nearly as nice as they could be. The more frustrating bit however, was not just the less than stellar pancakes, but the mess it left on the pan! After 10 minutes of intense (but non scratch inducing) scrubbing, the pan remained clearly discolored and marred by the cooking process. The reason for this is simply the nature of the Jetboil burner. 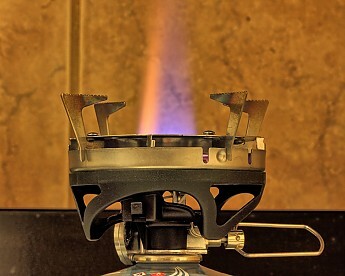 As seen in the picture below, the flame is very focused, and clearly directed at the center of the pan. This causes a very intense heat in the middle, without sufficient dissipation out to the sides. It is difficult to say how well the FluxRing is working in this situation as I don't know how it would perform without it, but it is certainly not working very well overall! One positive about the FluxRing system is that it provides a recess which nests on top of the pot holder. The result is a very stable setup, similar to using the Jetboil pots. This was a very difficult item for me to evaluate. My initial disappointment had me reach for a much lower rating, which I will not post, however I must put this into perspective. No, this is not a great solution for backcountry frying, it simply does not perform well enough. However, this IS the best solution for Jetboil specific users. This point in my opinion is key. 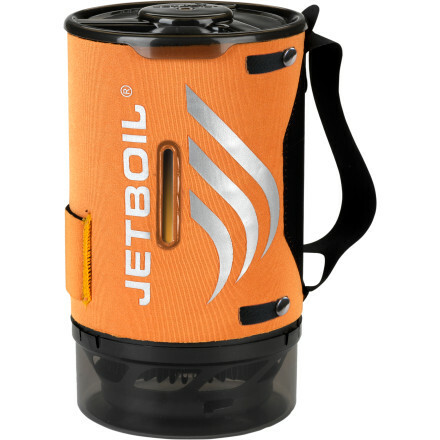 Since Jetboil has largely been focused on cooking systems that simply boil water quickly, the move into being able to actually cook with them is laudable, and welcome. The experience of using this pan with the Jetboil is not perfect, and as shown above, the lack of heat distribution is clearly a significant issue, which in my opinion Jetboil should address. Perhaps a redesign of the FluxRing and inclusion of a more complex heat distributing pattern on the bottom of the pan is in order. 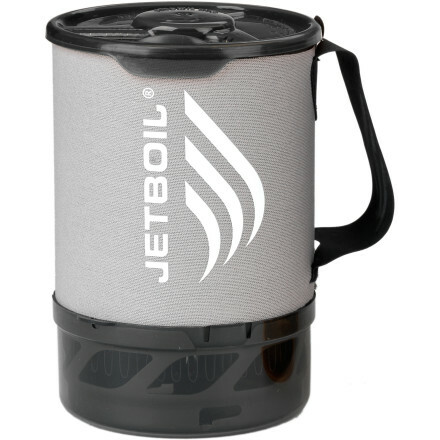 However, it is still a usable product which expands the capabilities of the Jetboil cooking system. I would recommend this item to people who already own a Jetboil, and are looking to add another dimension to their existing cooking system. I would not recommend anyone base their decision on the purchase of a new cooking system on this item. If anything, it is still a weak point in the Jetboil system. I give it a tentative 3 out of 5 stars. It is certainly not a bad product for what it is, but there is clearly room for improvement. Nice review, T.J.! Would you attempt to cook a small trout in this pan? Thanks Ashleigh. With lots of oil, I don't see a problem. It was fine when I tried bacon, and a proper strip of bacon is about the length of a small trout! Thanks for letting us know how this pan worked out for you, TJ. I think the usefulness for fish and bacon is good to know. Got any pictures of your bacon results? Thanks, TJ! The bolded areas really help to pull out the important info. 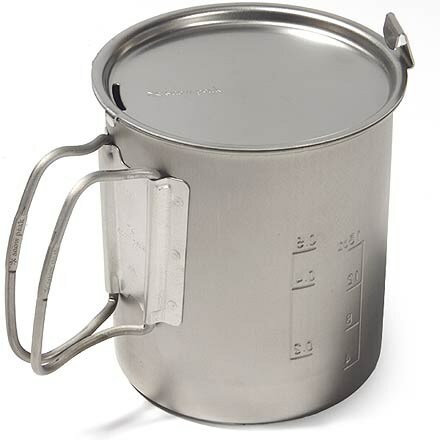 I've thought of getting a fry pan for my JetBoil GCS in order to give myself other cooking options, but at $50 and knowing its performance issues, I'll likely wait until I can find it on sale. Worked OK for eggs and sausage but non-stick surface leaves a little to be desired.